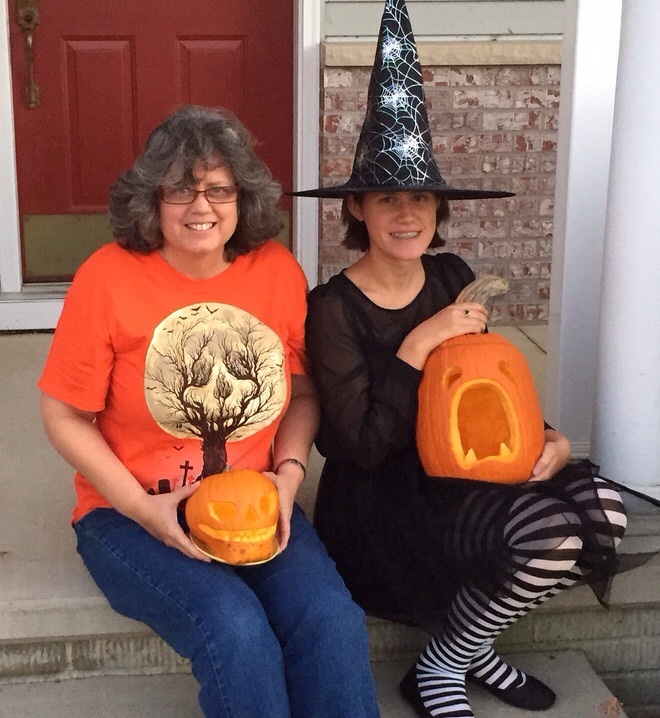 My Daughter Liz and I sit with the the pumpkins we carved together. 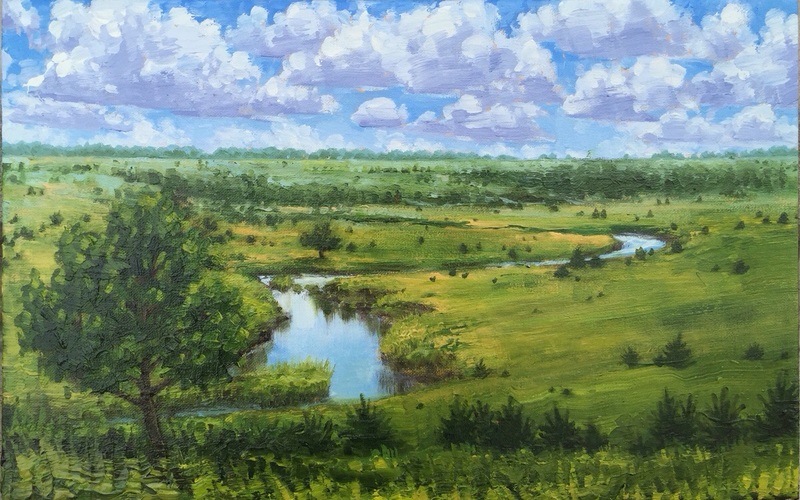 This commissioned painting reminds me of the benefits of doing work for others. It’s pulled me out of my everyday choices for compositions and challenged me with something new, and I think I have gained inspiration from it, thank you! I wanted to have this finished by now, but I have a cold. I am happy with it though. I’m looking forward to the big canvas. The trees are next. There are little cedars here and there, and then the big tree. 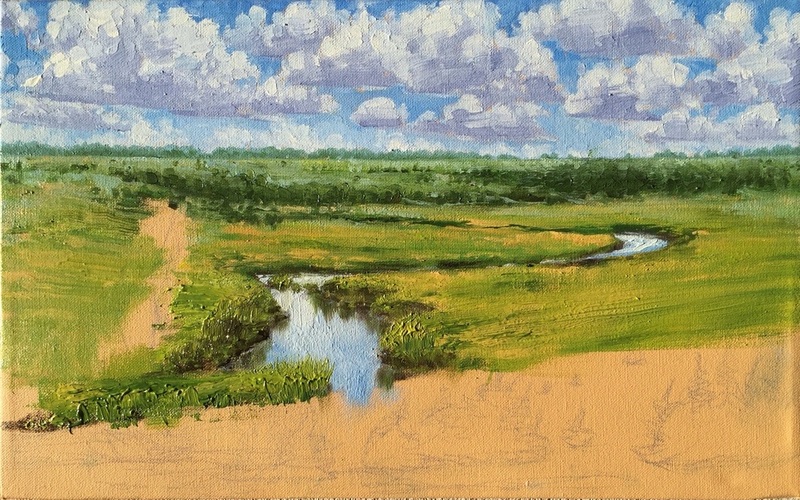 Finished the creek on this study for a bigger painting. There are many small trees that will be painted after it’s dry. 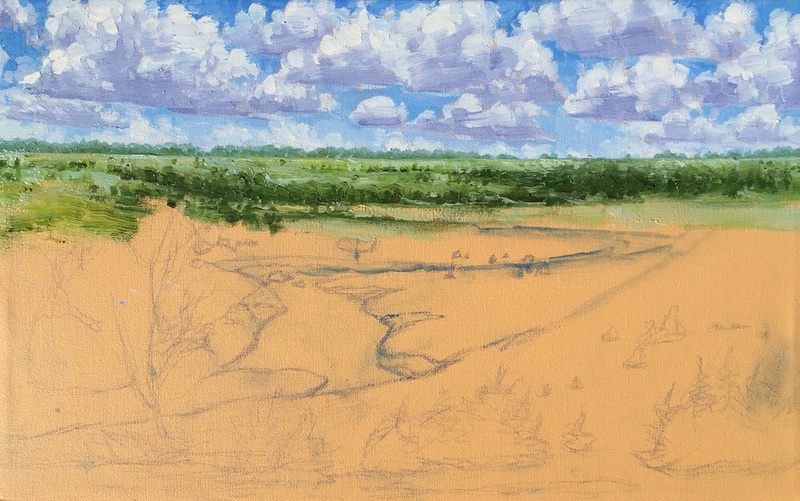 This study 10″x16″, Upcoming commissioned painting 30″x48″. When I get to the big painting I will probably take the week off my other projects and work solely on the big canvas, and get most of it done. I don’t want to break up my time as much as I have with this study. I’m busier than usual. This is why I have less blog entries too. 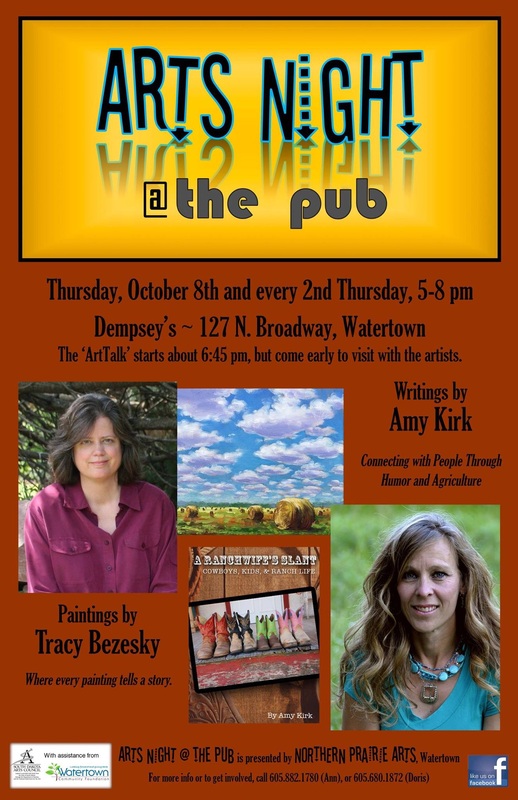 For those who live near me on the Prairie, I will be the guest artist at Dempsey’s Pub in Watertown, SD on October 8th, at 6:45. Purely by coincidence, it’s on my birthday! I got a little more done today. 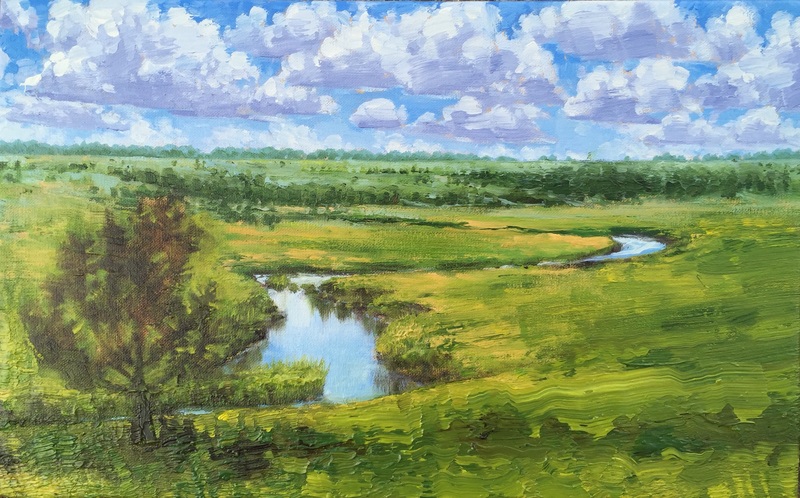 This rugged terrain, spotted with cedar trees is very interesting to paint. The distant land in background is behind the veil of humidity for depth. I hope I will have time to work on it again tomorrow. Exploring the 'Everyday' through Art. The journey of being an artist. Submit the first 10 pages of your script, get feedback from professionals, and get your screenplay performed by professional actors. At least 2-5 winners every single month.